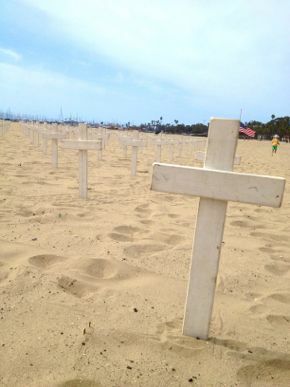 Crosses on the beach, every single weekend since the Iraq war started. 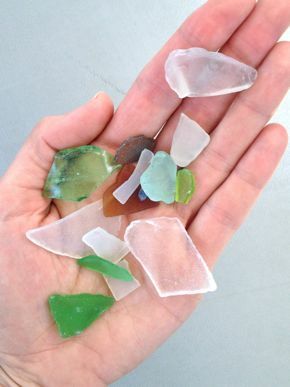 // Sea glass. Yay, it’s Friday! And I’ve got an awesome weekend planned – what about you? Fun with my friends, adventuring with my kid, and lots of much-needed down time. That’s my kind of weekend agenda! Seriously, please watch this. Take the few minutes out of your day, make it full screen, and just watch it. You won’t regret it! And now, the reason we’re all really here on this lovely spring Friday. Le Love List! 1. Live music; hanging out with musicians. Being back in Santa Barbara, SO many of my friends are musicians. And with that, and with being where I’m at in my life, and with share-parenting – well, nowadays my schedule allows for a lot more night life. In Portland, I can count the nights on ONE HAND that I went out to see live music (so sad). But here in SB? I’ve been back for less than 6 months and I’m already running out of fingers and toes to count on! The weather has been amazing and we’ve been taking full advantage. Hikes up in the foothills and barefoot beach walks, naked kid playing in the surf, boulder hopping in creek beds – yeah, it’s been good. I love this little part of the world, where we are so lucky to be surrounded by so much incredible natural beauty. I feel magic, like for-reals magic, in this place. Saved the best for last! My coaching practice is slowly but steadily getting off the ground . . . a little bit wobbly at times, but what baby isn’t, when first testing out new legs? I get to help people create a better life for themselves. Could anything be more rewarding? I am filled to the brim with anticipation, excitement, and overflowing gratitude! Also! greasy weekend brunch .|. my dining table with an entire bouquet of calla lillies which were all grown in my back yard, eeee! .|. witchcraft .|. new blinds, and getting my little house together bit by snail-slow bit .|. carrot + beet juice .|. meeting new friends where the mom is rad and Waits gets along with the kid, rare and precious .|. standing up for myself, being strong .|. a [mostly] clean house .|. discovering Waits adores Brazil nuts .|. buying tons of veggie starts for the preschool garden (toddlers just don’t understand “keep off so the seeds will grow”, so we’re moving onto starts, which they can SEE not to trample, haha) .|. coconut-almond green tea .|. loud loud music, holding my girly and singing our voices raw in the front row, yeah that’s the good stuff . . . I have written here just a couple of times. So let me introduce myself. I am Elri, 31 yrs old creative, superpowerhappy, vegan holistic healthcoach from Norway! Recently I have moved with my little family, from Norways capital Oslo, into the unknown… Exiting life!!!!! Loving it. This weekend; making loads of vegan food for my dad’s 60yrs celebration!!! Fifty people, none of them vegan, gathered around my vegan bouffet. Yeah! Wish me good luck. Meeting people I haven’t seen in a while. Bananas. My precious daughter, my incredible husband. Rest of the family. Greens, edible wild greens, popping up everywhere. The sun. Ever changing weather. 4. This blog. I didn’t realise how much I missed reading your posts (and all the comments!) until you started writing again. Thank you! 5. My health insurance company. I know this sounds weird, but not only does my health insurance completely cover costs for the psychotherapy that is really changing my life, they also pay for my yoga class! 6. Feeling more and more comfortable around people I don’t know (well) and being less scared by situations that used to freak me out. 7. My cats! Funny, loving, predictable, effortlessly adorable furry friends. 8. The fact that after 13 years I still absolutely love my work. 1. The fact that I am two papers away from graduating with my masters degree! 5. Getting back into running after *ahem* taking the entire winter off. 7. *Not* knowing what my future holds job-wise. It’s refreshing, and scary, and empowering and for once it’s not school! 1. Gardening: Finally warm enough for planting. We’re putting in basil, rosemary, lemon verbena, zuchinni, tomatoes, and romaine. 2. My Master’s exam defense next week! 3. Mother in law getting to visit and see our baby for the first time since she was born six months ago! 5. Getting back into yoga and feeling my body hit the reset button three times a week. I need it! 1. Starting to plan a summer trip to Norway. Overwhelmed by the beautiful possibilities! 3. First attempts at dairy-free cheesemaking in the works. 4. Starting a meditation class. 5. Cats! Specifically my cat. And my boyfriend. Love them both!! What health insurance do you have? I’m loving the coverage for yoga; is it for a specific condition? 2) Kale and Potato Gratin- delish! My new favorite comfort food. 3) The outpour of love and support that I find unique among Texans, especially in light of the tragedy in West. In particular the TAMU Vet School Rescue Team finding lost and hurt pets and reuniting them with their families after the explosion. 4) My new son, Jackson :) I can’t say his name enough;I’m so ready for this kid to get out of me! Thank you for sharing that video, it’s beautiful. This weekend I’m loving: the WWVBS! .|. my new standing Thursday night wine bar date with friends .|. pecans. local. bags and bags of them . . . I see a few pie crusts happening very soon .|. our orchard is in full bloom .|. my first asparagus spear has emerged, which means the rest will soon follow! Have a fantastic weekend! 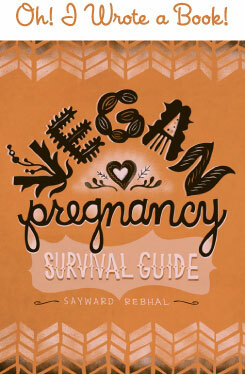 It’s so good to read that you’re getting lots of downtime and Sayward time. I’m intrigued about your mention of witchcraft, curious about coconut-almond green tea, and totally jealous of your calla lilies! I want the recipe for the kale and potato gratin!! Sorry, you wanted to know which one it is: It’s called “Techniker Krankenkasse”, but I think a lot of other statutory health insurance companies offer the same kind of service. I’m afraid you’re only eligible to join if you’re based in Germany tho. Many Soviets credit the Beatles with the fall of communism. Charles Dickens’ answer to the injustices he endured growing up in orphanages was to write about them- in works of fiction, sprinkled with facts. Jesus and Buddha spoke in parables. I watch my family obsess and argue over politics, and think- if a change is coming, it will be brought on by art. It gets to the heart of us like nothing else. Beautiful song. That video!!! I’ve loved the song for a while, but hadn’t seen the video!! Everyone should watch that. Totally crying over here. 1. Making homemade bread after discovering this method : http://www.artisanbreadinfive.com/2010/02/09/back-to-basics-tips-and-techniques-to-create-a-great-loaf-in-5-minutes-a-day We’ve made 3 batches already this week! 3.Finally planted my spring peas! Garden season will be here soon!! 1. Kidney stones. Oy vey. 2. This spring weather. In Michigan, we’ve had so much rain that we are experiencing record breaking flooding. Today, we have snow. 3. Toilet training my 2.5yo son. I keep telling myself that someday he will stop peeing in our heater vents. Right? And second on my love list this week is finding out that you are back blogging! Welcome back. You were missed. Thank you so much for sharing that video. It was so beautiful! 1. The beautiful weather we had in Maine today. Some days it’s cold and others it’s warm. Today was warm and sunny. I would double up on the kale and adjust the olive oil, garlic, salt/pepper to accommodate the extra kale. I used vegan parmesan cheese substitute. ~Smelling the rich, pungent air from the creek. ~My carpentry boss taking a few of us out to lunch, he intentionally chose a place I could order vegan dishes at. ~Having a relaxing weekend that doesn’t involve renovations on my house. Being a carpenter and renovating a 1930′s house in my spare time is double burnout! ~King Diamond on my ipod. Wish I had a record player but I’m grateful I can go to my brother’s house for that. ~Watching my 10 year old Niece (in-law) dance at a competition and win. ~The anticipation of taking my dog companion on an awesome hike today, she’s going to freaking love it! I checked out the site you posted with the artisan bread recipe… looks super good! :) I don’t have a whole lot of experience making bread. I’ve made it several times in a bread machine and just last week in the oven…. I seriously am thinking I’m doing something wrong, because every single loaf is soooo thick and heavy? Now I don’t have the expectation that it will come out like a loaf of fluffy wonderbread, but, seriously, this stuff is THICK! Anyone, any tips? Thanks for the reply; I’ll check it out! I will have to make a couple of loaves and pay particular attention, see if I can improve it.